Well, since some of you out of habit return to ADA (me too kind of), I believe I will be the one to announce the news. A new season of Yu-Gi-Oh! is on the horizon named Yu-Gi-Oh! 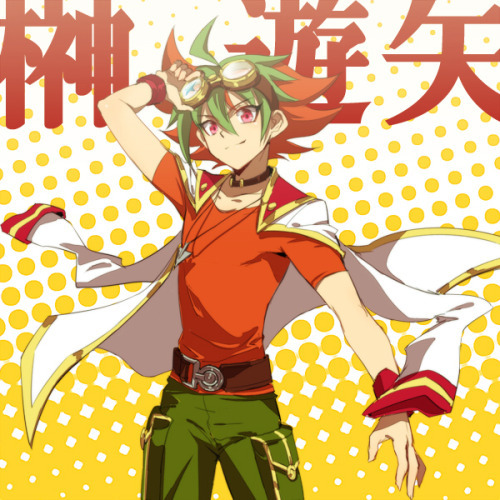 Arc-V with Yuuya Sakaki as main protagonist! Seeing new style looks like everyone is adapting digimon mega evolutions. Still not as bad as that new card game though. Xyz shaked a lot YGO world. Unless Arc-V won't be beyond perfection, well there is no point to continue the game. Seeing as Yuya rides a hippo..... i doubt it will be perfect. Oh well, we will see in April. For now I am going to enjoy another card game - Z/X Ignition. You can always return to vanguard, Now it's getting close to YGO synchro broken dragon *sheds a tear*. Z/X Ignition..does this game has an anime. Agi, if you find the Z/X online post somewhere where I can see it.